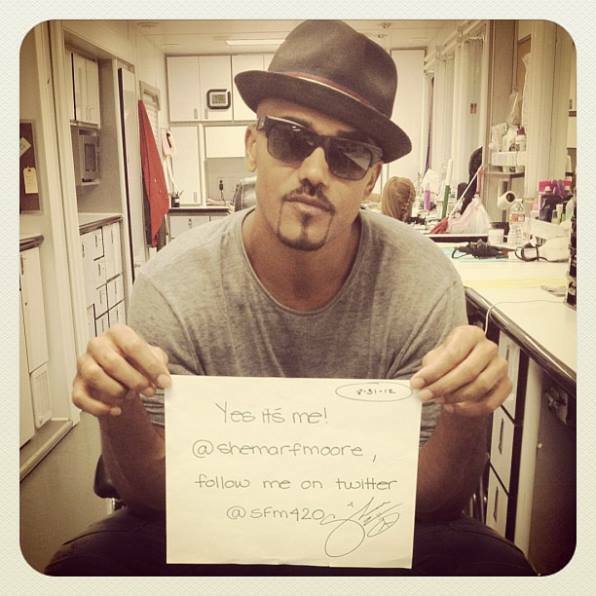 Shemar Moore. Shemar Moore. Wallpaper and background images in the Shemar Moore club tagged: shemar moore criminal minds 2013. This Shemar Moore photo contains 看板, ポスター, テキスト, 黒板, サイン, 新聞, 紙, 雑誌, タブロイド紙, ぼろ, タブロイド, and 布. There might also be 梱包箱, ケースを梱包, 梱包ケース, 髄帽子, 髄ヘルメット, 太陽のヘルメット, トーピー, topi, 帽子, 鼻ヘルメット, topee, 日よけ帽, and トピを髄します.